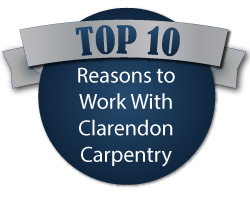 This is the straightforward, proven process we’ll follow for your Clarendon Carpentry Loft Conversion. 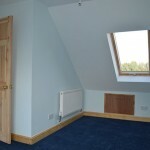 I want a loft conversion, where do I start? What’s your vision for your loft conversion? Will it be bedroom, a lounge, a study or something else? Will it have an en-suite? Do you want to enjoy the views from it? Will it be stylishly contemporary or elegantly traditional? We’ll spend time with you without obligation so we understand what you need and discuss it with you. We can usually give you a ballpark quote at this initial meeting. The next step would be to commission an architectural design. Now you can start to see what your loft space could look like. 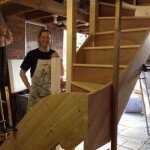 We do recommend that you work with our architectural designer, Andy, for the plans, although it’s entirely your choice. He has the creative expertise and vision to design and realise your loft conversion while making sure it meets all requirements. He’ll also deal with any issues around planning permission. Once your plans are drawn, John will go through them with you, so you can ask questions or make changes. We’ll use the finished plans for our quote and as a foundation for the project if you decide to go ahead. All work will be in line with current legislation. Depending on your house, we may have to take into account the Party Wall Act. 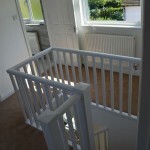 Rest assured, we’ll advise you on all aspects of this and make sure the build complies with any regulations that apply. Building Control officers will need to visit periodically and John will deal with that for you – you don’t even have to be at the house. He has worked with many of the local building inspectors on loft conversions, so this process is very familiar to us. Once you’re happy to go ahead, we’ll agree a start date and then our proven and efficient systems will get into full swing. Once the scaffolding’s been erected, we’ll create our own entry point into your roof for all our access, so deliveries won’t come through your house and neither, generally, will the team. It means no dirty boots, no mess in your home. Once your loft’s finished, it can be signed off and the completion certificate issued from the local authority. Depending on the conversion, you may also need gas or electric certificates (for example, if you have a gas boiler installed). Then it’s ready for you to use and enjoy. We’re always determined to be absolutely thorough, so John will ask you to make a snagging list, just in case there are any small points you’re not 100% happy with. Then we’ll come back and sort them out for you to your total satisfaction. 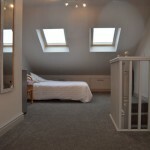 We create loft conversions for customers throughout Leicester. If you’re looking to make the most of your loft space, contact us with complete peace of mind about our knowledge, expertise and creativity. We understand you want to feel comfortable about anyone you invite into your home and we pride ourselves on respecting your situation.